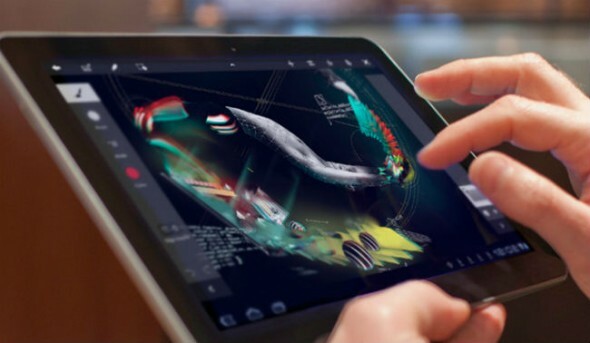 Adobe has just released its Touch Apps suite for Android tablets, made of five creative apps each priced at $9.99 and available on the Android Market. There is an Android 3.1 Honeycomb or higher requirement, while Adobe points out that you’ll need at least a 8.9-inch 1280×800 tablet to get the most out the applications. As the name implies, they are all touch optimized applications, but also integrate with Adobe Creative Cloud. 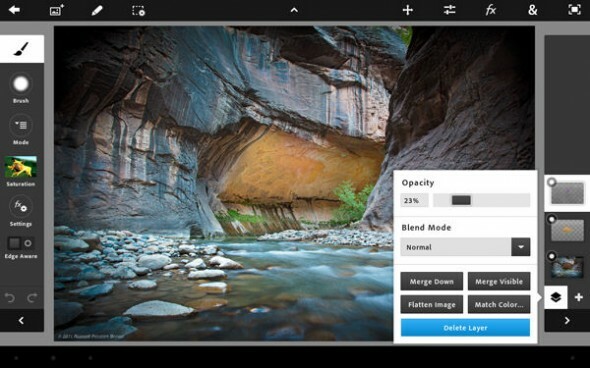 You can open Photoshop or other Adobe desktop application files saved in the cloud, work with them on your tablet and then save them back to the cloud to continue working on a desktop or other device. King of the pack is of course Adobe Photoshop Touch. You can get your images from social networking sites such as Facebook, use locally saved images or snap live from your tablet’s camera. The app includes layer support, various adjustments and filters, and of course you can share your results back to Facebook. Next you have Adobe Ideas (which is already available for iOS for only $5.99). It’s a vector drawing application, something like a cut-down version of Adobe Illustrator. 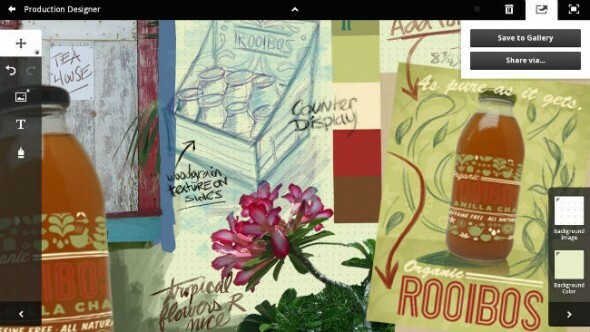 Adobe Collage, allows you to combine images, drawings and text to create conceptual moodboards. In Adobe Proto you can create interactive wireframes and prototypes of websites and mobile apps. Adobe Kuler enables your to create color themes when inspiration strikes on the go. Finally Adobe Debut lets you present your ideas to clients and colleagues with support for Adobe Photoshop, InDesign, and Illustrator files and a pen tool to mark up on top of your designs. The rest of pack, save for Adobe Ideas which is already available, should be coming to iOS by early 2012.